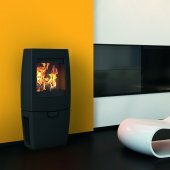 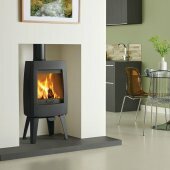 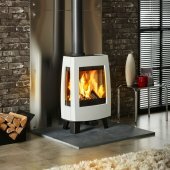 The Sense 103 is delightful addition to the growing collection of contemporary cast iron wood burning stoves from Dovre. 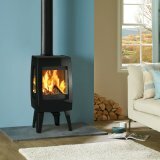 With an exquisite curved detail and highly distinctive legs, this ultra-slim wood burning stove will blend seamlessly into traditional & contemporary interiors alike. Designed with Dovres state-of-the-art Airwash technology to keep the expansive flame window clean, you can enjoy the beautiful rolling flame picture to its full potential, suitably enhanced with the glass side panels of this wood burning stove. 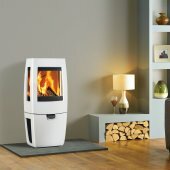 *When fitted with a Smoke Control Kit.